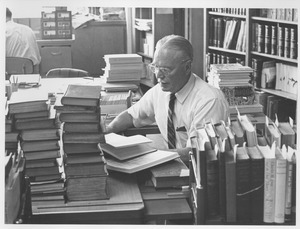 John Sullivan seated at a desk, with a pencil in hand, and surrounded by books. 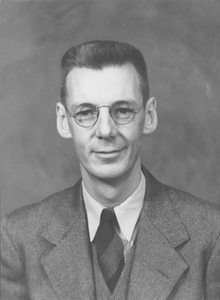 Thomas Canavan was placed in charge of the Durfee Plant Houses by President William S. Clark. Subsequently he worked as the College janitor. 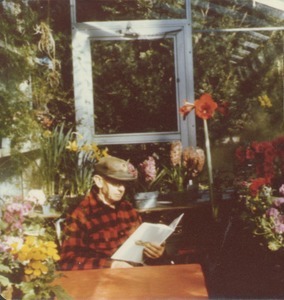 Snapshot sitting and reading in a greenhouse, surround by flowers. 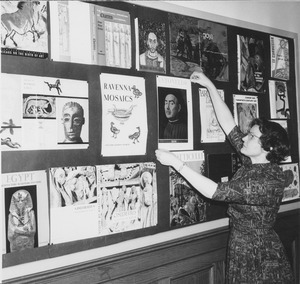 Jo Haven mounting art book jackets and posters to a bulletin board in Goodell addition. 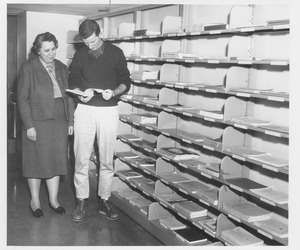 Pauline Collins, HILC librarian, with unidentified man in new Hampshire Inter-Library Center (HILC) location Goodell addition. 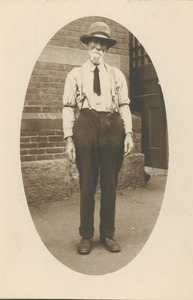 Written in pencil on back: "Francis C. Prey" On envelope: News editor 1934-43. Physical Plant employee Richard Hardaker facing left and painting a sign. 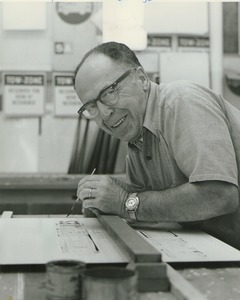 "Richard Hardaker, paint shop, physical plant employee of month Bulletin, Sept. 9, 1976" written on verso. 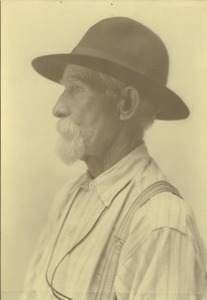 Profile portrait. 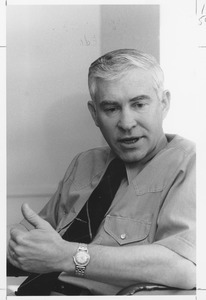 Thomas Canavan was placed in charge of the Durfee Plant Houses by President William S. Clark. Subsequently he worked as the College janitor. 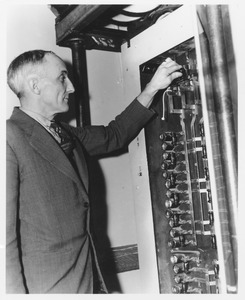 Schauwecker, former janitor, standing in Stockbridge Hall, one hand on a control panel lever.